1000 GeForce Experience Users To Receive For Honor! One thousand GeForce Experience members will receive a copy of the hit Ubisoft title For Honor in the latest GeForce Experience reward! Winners will be informed via notification in the GeForce Experience client on Tuesday, July 18 (US time). To be eligible, just download and log in to GeForce Experience, then opt-in to communications from NVIDIA (using the accounts tab within the settings menu). For Honor Is The Latest Free Game From NVIDIA! 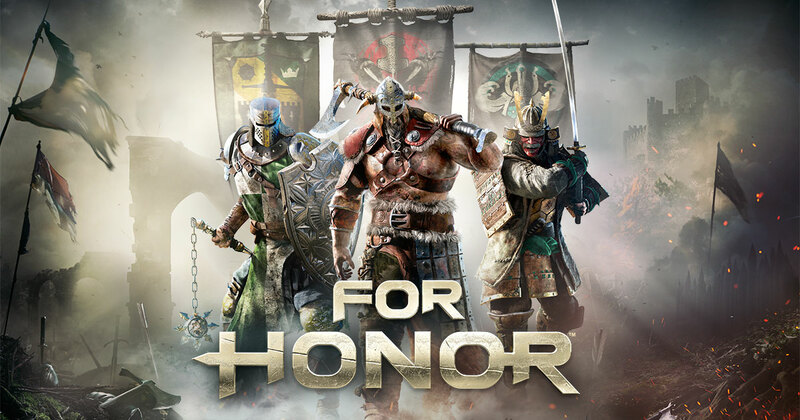 In For Honor, players embody warriors of the three Great Factions – The noble Knights of the Iron Legion, the deadly Samurai of the Dawn Empire, and ferocious Vikings of the Warborn clans – fighting to the death on intense and believable melee battlefields. Storm castles, defeat invading armies, and win epic duels as you battle for the survival of your people. For Honor is just the latest reward gamers could receive for playing on GeForce. Dating back to July 2016, NVIDIA has thanked our loyal GeForce Experience gamers by giving away: limited edition GeForce GTX replica USB thumb drives, MSI VR-Ready Notebooks, HTC Vive Systems, GeForce GTX 1080 Ti GPUs, SHIELD Android TVs, and full versions of Overwatch, Gear of War 4, Ghost Recon Wildlands, Watch Dogs 2, For Honor, and more. For Honor is one of 15 titles that supports NVIDIA Ansel. Ansel allows you to capture gameplay that was never before possible. When Ansel is supported in game, players can move the camera to any angle they desire, apply filters, use super resolution capture and even capture in 360 for viewing in VR. Learn more about these features in the Ansel Technology page. Other NVIDIA technologies that will benefit For Honor include HBAO+, 4K support, G-Sync, GeForce Experience, and NVIDIA Surround. Next : Two New SOL REPUBLIC Wireless Earphones Launched!